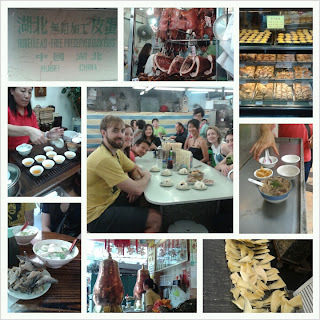 Two weeks ago two of my colleagues, Andrew and Katherine, invited us to join their food tour. For the past few years they run the occasional food tour and donate all the proceeds to the Hong Kong Refugee Advice Centre. We didn't really know what we were getting into but Andrew and Kath are good fun so I knew it would be a good time, plus the weather was absolutely perfect for walking around Hong Kong. Andrew is from Hong Kong and speaks Cantonese which always gets us into places we would never go on our own. We literally ate from 10:30am to 2:30pm and had an amazing time. The whole tour took place in an area close to us called Jordan. 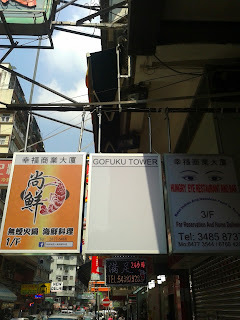 We have eaten there before and we knew all about the hidden gems. 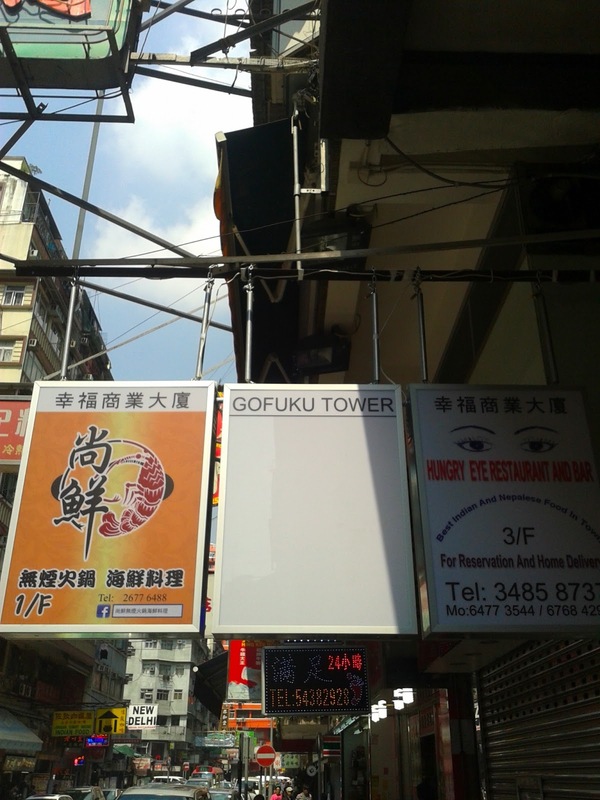 None of the restaurants had English on their menus and I just ate anything put in front of me. I thought I would be against trying some things but in the end I tried everything and none of it was bad. I might actually go as far to say that I liked everything and I would eat it again. I totally surprised myself. Fried dough (savory and sweet) Think funnel cake. 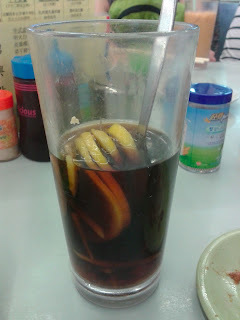 This is the boiled Coke. Just straight up corn syrup because all the carbonation was burned out. Don't knock it before you try it. This bad boy was prepared by a flame thrower. Keight you would have loved the fat to meat ratio, dripping with greasy goodness. 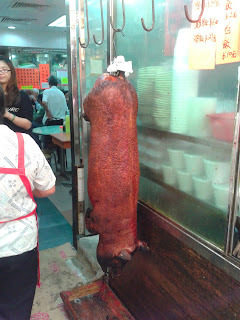 One of the sights we saw along the food tour. Too good not to post. 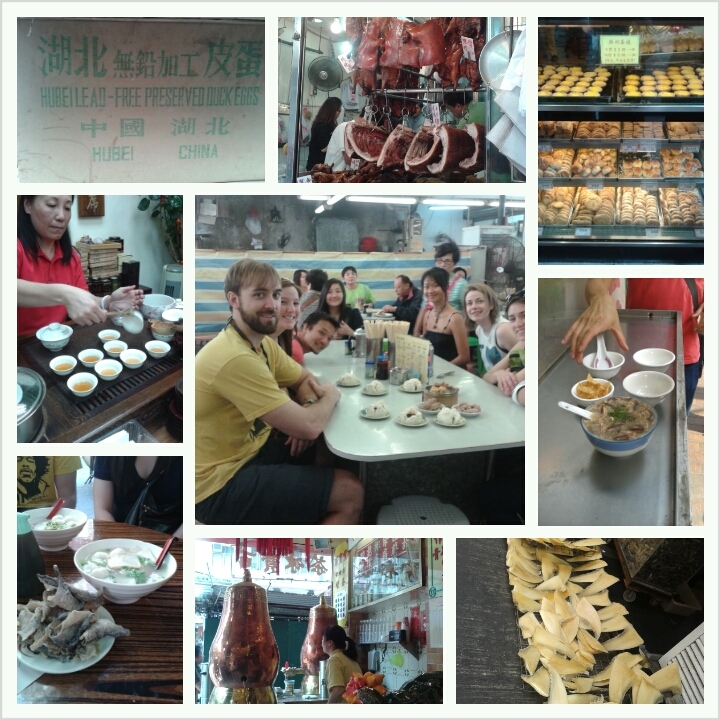 For anyone that comes to visit I am definitely arranging the food tour. It is the best way to get a real authentic food experience in Hong Kong. Thank you Andrew and Katherine!